Repost with full credit, Please. On March 24th, Tokyo Girls Collection held a special show at the Mercedes Benz Arena in Shanghai, China. Some of Korea’s top entertainers including SS501 leader Kim Hyun Joong and actress Park Shin Hye were in attendance. 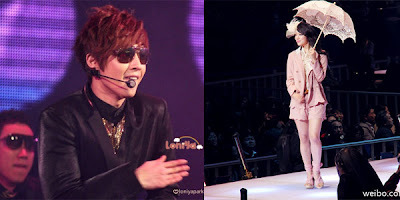 Kim Hyun Joong performed some of his best hits for the crowd while Park Shin Hye walked down the runway as a model. Check out video of both Kim Hyun Joong below!